Halloween is coming! A thing I think fun about Halloween it’s bake and eat Halloween treats. It’s not my favorite season for bake but I can find fun treats! 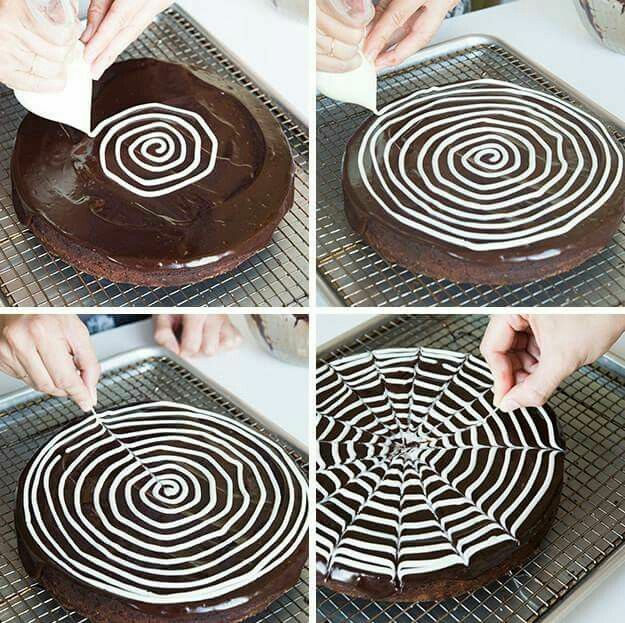 Last year, I baked a chocolate spider web cake. It was fun and easy! I baked a simple chocolate round cake and I added an icing in spiral, check the informations here. I’m looking for new ideas and these following are my favorites. They just look fun! What are your favorites Halloween treats?